Place all of the ingredients in a jar and mix well to combine. Place in the refrigerator overnight to set. 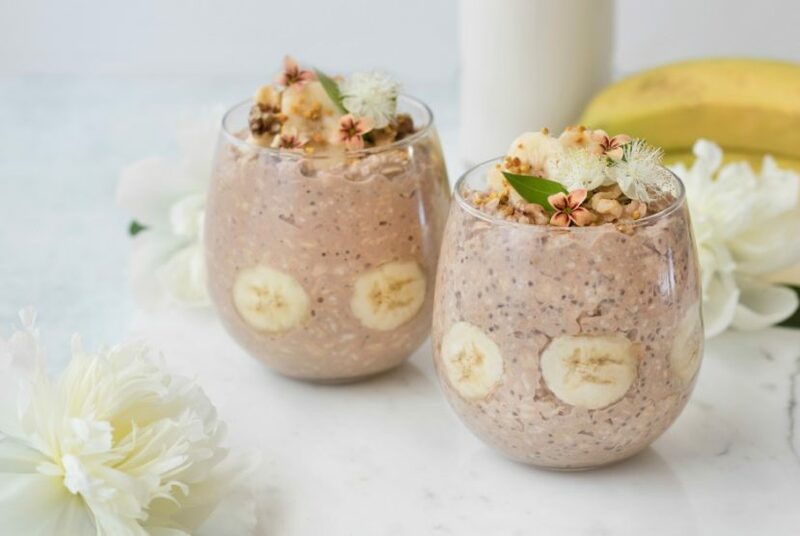 To serve, mix the oats and top with additional banana slices, walnuts or coconut flakes. Enjoy!